Prince Harry, Meghan Markle’s First Royal Tour Announced: Details! Prince Harry, Duchess Meghan’s First Royal Tour Announced: Details! And away they go! Prince Harry and Duchess Meghan’s first royal tour has officially been announced, three weeks after the couple exchanged vows at Windsor Castle last month. The couple will soon pack their bags and head to Australia, Fiji, the Kingdom of Tonga and New Zealand in the fall, Kensington Palace announced on Sunday, June 10. “Their Royal Highnesses have been invited to visit the Realms of Australia and New Zealand by the countries’ respective governments. The Duke and Duchess will visit the Commonwealth countries of Fiji and Tonga at the request of the Foreign and Commonwealth Office,” the statement read. The tour will take place around the same time as Harry’s Invictus Games in Sydney. It was previously confirmed that the Duchess of Sussex would join him for the big event. But first, she will attend a solo outing with Queen Elizabeth II to Chester on Thursday, June 14. Harry and Meghan recently returned home following their honeymoon in East Africa. 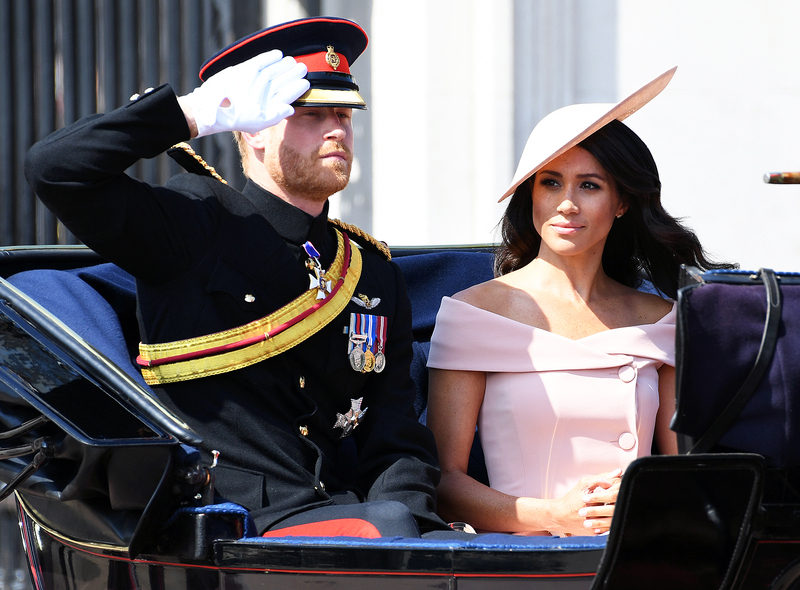 They were seen for the first time since their nuptials as they celebrated the Queen’s 92nd birthday at the Trooping the Colour on Saturday. More than 1,400 soldiers, 200 horses and 400 musicians participated in the annual parade. The newlyweds were also joined by Duchess Kate, Prince William and their two children – Prince George and Princess Charlotte. The Duke and Duchess of Cambridge’s third child, Prince Louis, stayed behind. After arriving by carriage, the royal family all stood together on the Buckingham Palace balcony in a historic moment as they watched the festivities. Stay up to date with the latest royal news by subscribing to our new podcast "Royally Us" below!